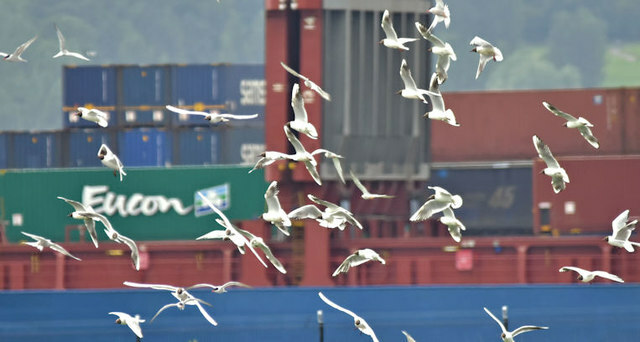 Mainly black-headed gulls (with a few terns), seen from RSPB hide no 2, flocking over the harbour lagoons. An area, managed by the RSPB, overlooking the harbour lagoons and the Victoria Channel. There is an admission admission charge to the visitor centre which includes the use of scopes. The hides are free as is parking beside Airport Road West. The facilities are open to all – no RSPB membership needed. I have no connection the society.